Owning a fast and powerful motorcycle can make you feel like you’re the king of the roads and that common sense rules don’t apply to you. However, this kind of behavior is not only wrong but also dangerous to you and to the community you belong to. And, while there is nothing wrong with taking your bike out for a ride or learning new tricks with it, you still need to follow some ground rules and obey the laws. So, whether you prefer to be accompanied by your motorcycle club buddies or ride as a lone wolf, make sure to avoid these things and not make a complete fool out of yourself. Safety should come first no matter how tough you consider yourself, especially if you go over 60 mph. You may want to look cool and invincible to impress your high school girlfriend, but we’ll see exactly what you’re made of after the first tree or car you bump into. So, if you don’t want to work double shifts for the rest of your life to pay off your hospital bills, we suggest buying those protective leather motorcycle pants, boots, helmet, and gloves. Keep in mind that you should also have adequate gear depending on the season you plan on riding your bike. Rainy and cold winter days require a pair of insulated motorcycle winter gloves to make sure your hands won’t slip or get cold. Complete your look with a warm jacket and special insulated pants or jeans that won’t allow snow or rain to get in contact with your skin. You paid a fortune for your brand new Harley bike, but do you think you should go cheap when choosing your protective equipment? Health doesn’t come with a price, so we suggest you keep that mind next time you think about buying that motorcycle helmet under 200 dollars. We’re not saying that you can’t find good gear for a bargain, but you should put your safety first instead of saving a dime. Make sure all the items you choose have been tested and are resistant to tear, shocks, impacts, and extreme weather conditions, including heavy winds and temperatures over 110 degrees Fahrenheit. Getting on your bike is probably one of the best moments of the day for you so we’re pretty sure you’re taking the long way home at least a couple of days a week so that you can feel the wind through your hair and the sound of your engine for a few more minutes. And if it happens that you stumble across a few of your friends or colleagues driving their minivans full of kids and diapers while you smile happily on your fast and powerful bike, so be it. Just make sure you’ll be home in time for dinner or to pick up your own kids from school. Again, you were willing to pay up to one hundred thousand dollars for a bike, but you’re looking for bargains when it comes to fuel? 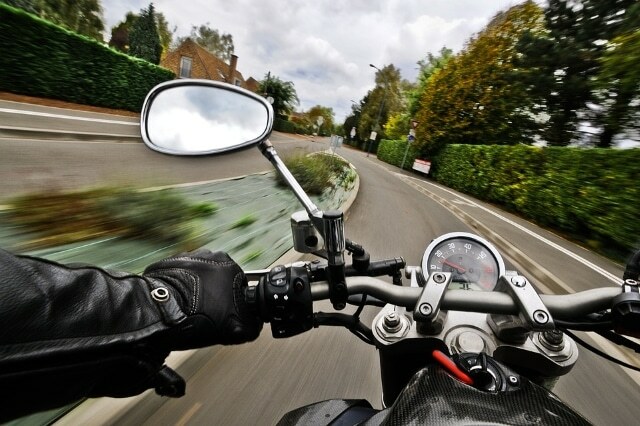 If you plan on becoming a real biker, fuel shouldn’t be one of your daily worries. Why spend so much money on a bike in the first place if you’ll just keep it in your garage and only brag about it to your friends and coworkers? If you cannot afford to fuel your bike on a regular basis, perhaps you should change it with a model that consumes less. Most bikers don’t plan on keeping their rides for more than a few years, so they will naturally try to “preserve” them as much as possible so they can ask for a better price later on. However, constantly checking the mileage or only driving it on the highway won’t make you a real biker. You shouldn’t be afraid of testing it offroad to see what your bike is truly made of. Although we do not advocate scratching or breaking your beloved motorcycle, riding it casually is not what a true biker would do. So don’t hold back on taking it on your trips, even though some of the roads might get bumpy or muddy. Why would you spend a fortune on a bike and then another small fortune on tuning it if you won’t at least take advantage of it every day? Your bike was made for going the extra mile so you should consider taking a trip with it anytime soon. There is something magical about seeing the country on two wheels, with or without company. It will help you clear your head, sharpen your senses and face your biggest fears. So why not take a leap of faith and let your hands guide your wheels? Unfortunately, most people will only buy a powerful bike to brag about it and won’t actually test its endurance in the long term. Don’t be afraid to put some dirt and dust on those tires and plan a trip on your bike. You will certainly thank us later. Pulling stunts will take time and dedication from your behalf, so don’t attempt to try risky moves on your ride just yet. 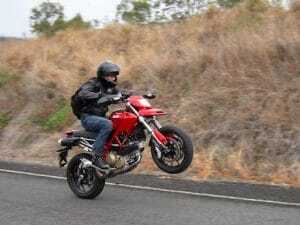 Safety should be your main concern so keep away from stunts to impress. Don’t assume you will be the next Valentino Rossi with just a couple of hours of practice per week either. If you want to learn how to do magic tricks with your bike, get a teacher and don’t be afraid to scratch your bike or bruise yourself in the process. We also suggest practicing with an older, less powerful motorcycle first.